Audi R8 Interior, Sat Nav, Dashboard | What Car? Although the rear window is small, the R8 is relatively easy to see out of – as supercars go – and front and rear parking sensors plus a reversing camera are standard, to make life that bit easier when manoeuvring. LED headlights are standard too, while Performance models get additional laser main beam assistance; this works at speeds above 37mph and provides extremely bright and effective road illumination at night. 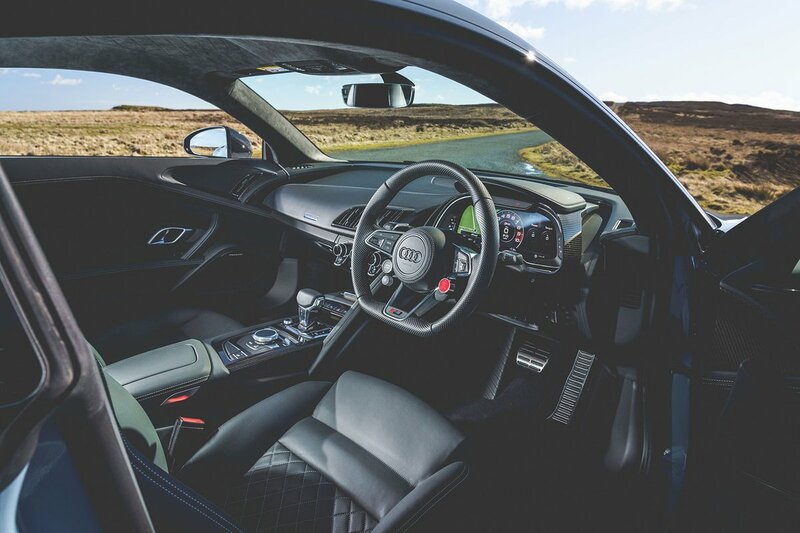 The R8’s multi-function steering wheel controls many things, including the driving modes and on-screen menus. You can also control the whole infotainment and sat-nav system (viewed through the 12.3in digital screen in the driver’s binnacle) via the steering wheel, although a rotary controller mounted behind the gear selector provides an alternative way of interacting with it. Otherwise, the climate controls are logical and the dash is generally easy to use, and it feels exquisitely finished and well put together, albeit not as flamboyant in design as some rivals. The standard seats are quite firm but offer good support and a wide breadth of adjustment that should suit almost any shape of driver. The Performance comes with heavily bolstered bucket seats. Their backrests are non-adjustable but that doesn’t prevent them from them feeling comfortable, and they really hold you in place when you drive in a spirited manner. The R8’s two pedals line up nicely with the driver’s seat, ensuring you aren’t at an awkwardly skewed angle, but – despite the range of steering wheel adjustment on offer – its driving position isn't quite as natural and perfect as it is in, say, the 570S or 911.